This is one of my favorite summer desserts. It just so happens my house will be filled with guests tomorrow so I felt this tart’s attendance was mandatory. 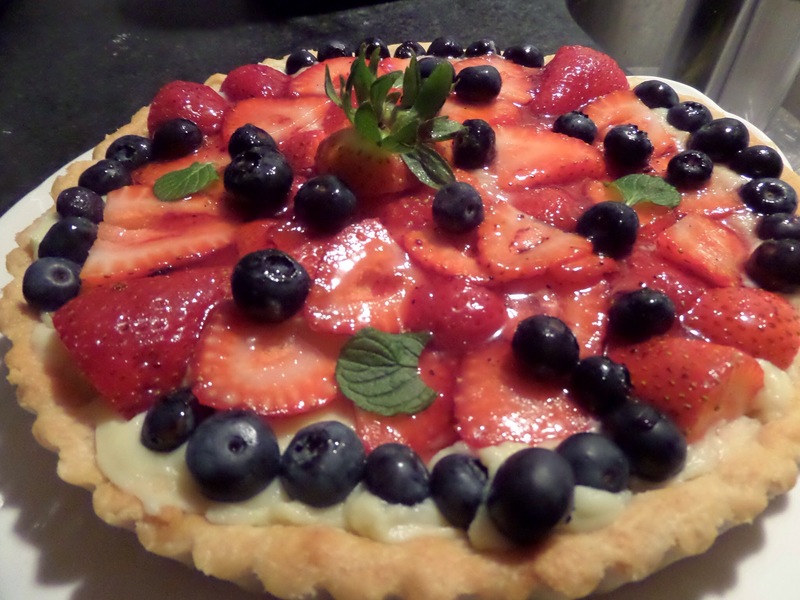 It’s just three simple components…..a shortbread crust, custard and fruit. If you get the crust and the custard down, any fruit works. Kiwis, blueberries, strawberries, apples. You get the idea. Let’s start with the crust. It’s so simple that should you over bake it, you can have another on standby in minutes (yes, this has happened a few times). 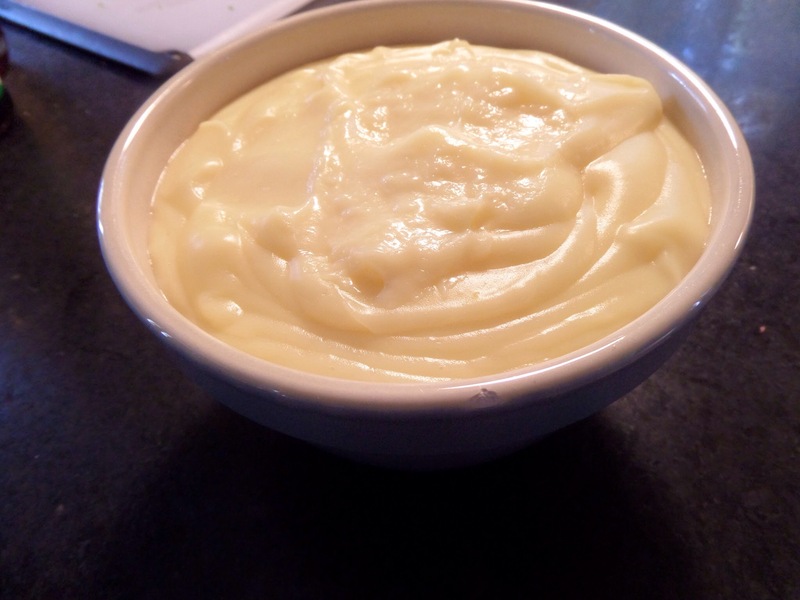 The key is cold butter and minimal amounts of water (less than 2 tablespoons). Once it’s in the pan, be sure to use a fork to poke holes in the bottom. You don’t want it to bubble up. Also, use pie weights or rice to keep the center flat. Next comes the custard. It’s very important to mix some of the hot milk to the eggs prior to adding all the eggs into the pot. This step also requires a lot of whisking in order to avoid a curdled mess. The finish product is smooth, slightly sweet and very thick. Now it’s time to fill the tart. An offset spatula makes this step much easier but a rubber spatula will get the job done. Now for the fruit. 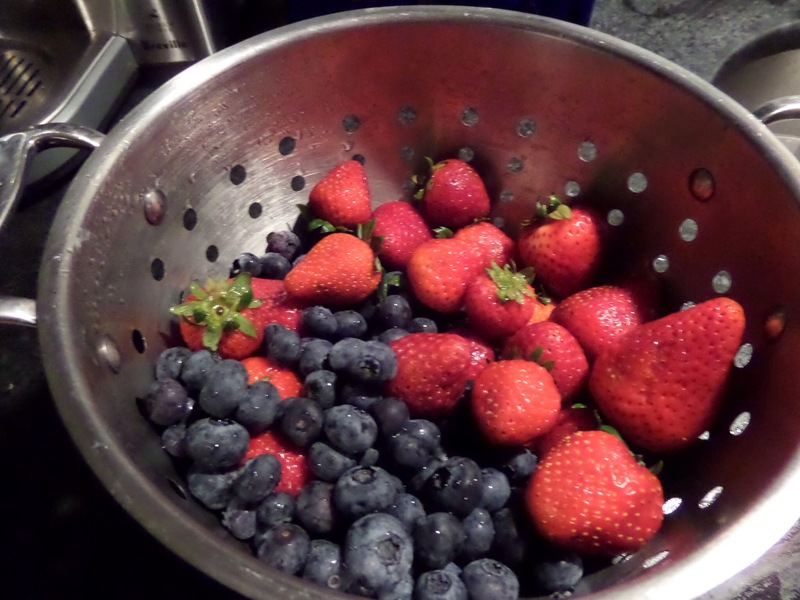 I went with strawberries and blueberries. I also added a few mint leaves. The last step is the glaze. Use whatever jam you have handy. Once the jam melts, it creates a beautiful sheen, making the tart picture perfect. To make the pastry, in a food processor fitted with the metal blade, combine the flour, sugar and salt. Pulse briefly to mix. Add the butter and process until the consistency of coarse meal. With the motor running, add just enough of the water to form a ball that cleans the sides of the bowl. Remove from the processor, wrap the dough in plastic wrap and refrigerate for 30 minutes. Place the pastry in a 9-inch tart pan with a removable bottom and press it gently onto the bottom and sides of the pan, forming an even layer. Place in the freezer for 30 minutes. Preheat an oven to 375ºF. I doubled the original crust recipe so you will have some that can’t fit in the pan. 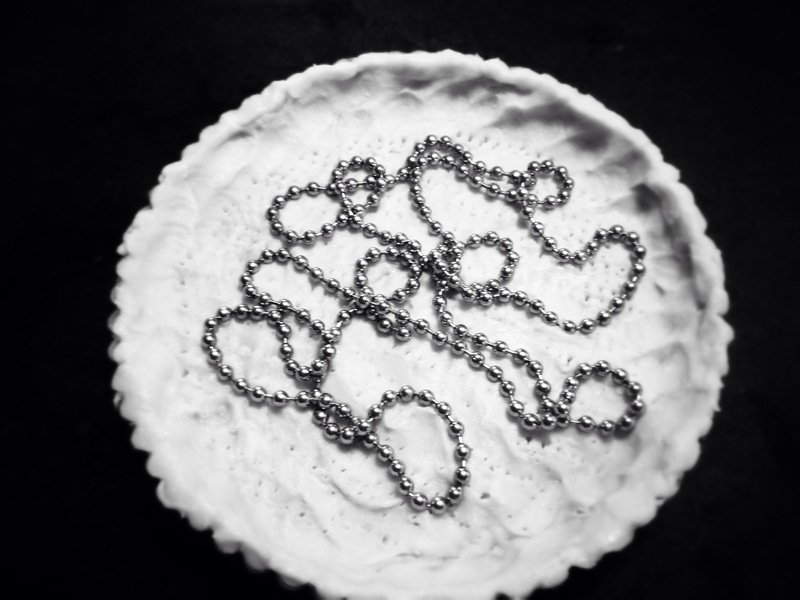 Use pie weights or rice in the center. Bake for 15-20 minutes. Remove the pie weights and bake for another 5 minutes (it should be slightly golden). In a medium saucepan, combine the milk with the vanilla bean, seeds and salt and bring to a boil. In a large bowl, whisk the sugar with the cornstarch and eggs. Gradually whisk in 1/2 cup of the hot milk. Scrape the mixture into the saucepan and cook over moderate heat, whisking constantly, until very thick, about 4 minutes. Remove from the heat and whisk in the butter. Strain the pastry cream into a bowl, press a piece of plastic wrap directly onto the surface and refrigerate until chilled, about 1 hour. Spread the pastry cream in the tart shell and arrange the fruit on top. Refrigerate for at least 1 hour before serving. Melt over medium low heat. Paint the tart with the glaze. And there you have it! 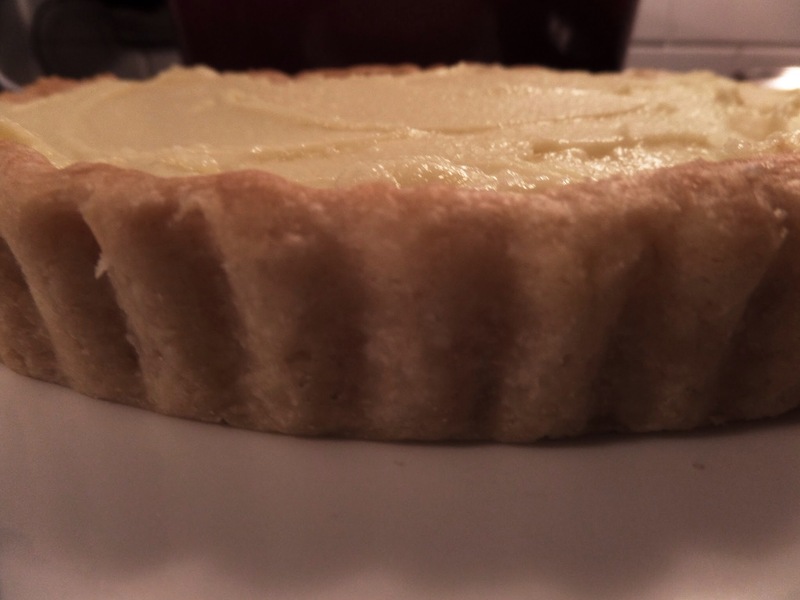 Once you find a tart crust and filling that works, the possibilities are endless! Amy, this dessert “was-to-die-for!” Thank you and Steve for hosting Cousin’s Dinner today!